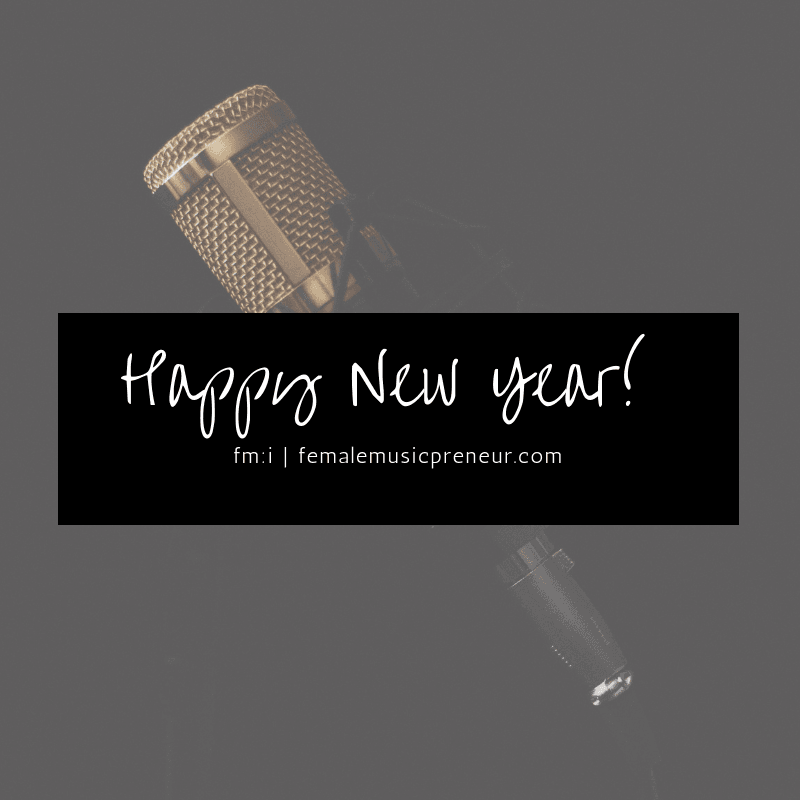 New year’s resolutions for 2019, or any year are a big deal! 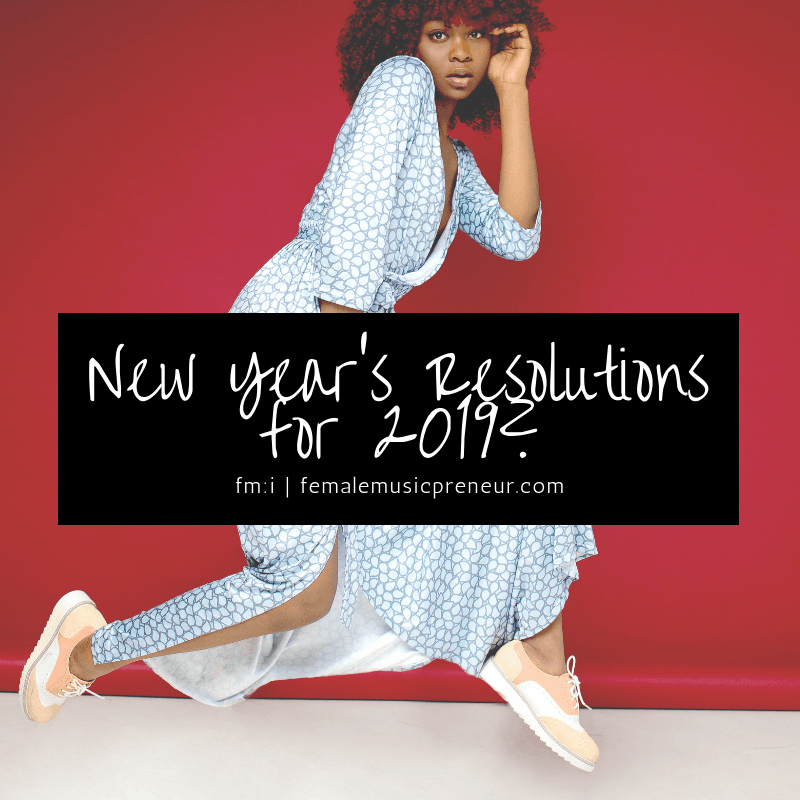 This post provides an alternative approach to new year’s resolutions and planning that ensures success instead of the usual frustration. It is particularly geared towards musicians who are aiming for next level goals. Typically, many people set new year’s resolutions; be they for personal goals, career goals, financial goals and more. It is also typical for many to quit their resolutions within days – if not weeks of setting them. This post helps musicians manage it all and progress like true bosses! I tend not to ‘do’ new year’s resolutions. Mainly because I’m more of a seize the day, everyday is a brand new day with multiple possible opportunities type. In my mind, I believe I can always turn things around or improve upon what’s working. I refuse to rely on one date every 12 months that will determine when to hit my reset button and make a clean start in any area of my life! I’d rather make adjusts now! I strive to learn from every experience – be it good or bad – daily, weekly, monthly and so on. I review and reset constantly. This is a rather fab success habit that I’ve been carrying out for years. I find it keeps me in control of what happens next as opposed to being reactive. The good thing about this approach is that, if you fall off the I must perfect my life now bandwagon, you can just dust yourself off and start again at any time – no ny resolution required! Despite my personal approach, I know that there are many who don’t think in that way. Are you ready to crush 2019 with a set of new year’s resolutions? Or, are you more of a, I’ll cross that bridge whenever I come to it type of soul? Whichever way works, here are a few suggestions on how to tackle self/life improvement endeavours. So, hurrah! This approach can be effective whether you’re setting New Year’s resolutions, or just looking to improve at any time of the year. The approach below can be used alongside my 90-Day Success Plan for MusicPreneurs. New Year’s Resolutions Tips (No. 1) – Change your approach. If you have found that setting resolutions has not worked over the years, have you considered changing your approach? Resolve to give yourself grace and to not pressure yourself to set a lofty goal or attempt a process that has typically not worked out, and may result in you feeling bad. 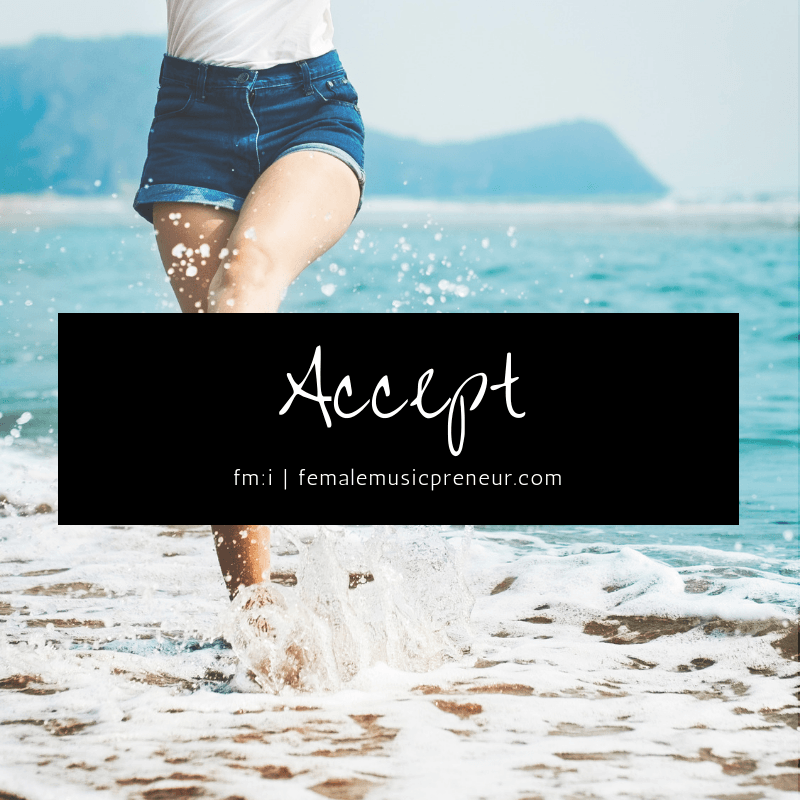 Accept where you are. Take a step back and a sit down and look at your current situation honestly. Give yourself a couple of hours to just be from an honest self-loving place. Accept that you have the power to make the changes you desire and can do so from an informed place. Accept that no one else is in control of your life unless you allow them to be. Look at different areas of your life and assess how things went in those areas over the past 12 months. Be objective, the aim is not to get disgruntled, angry, or to blame anyone! Instead, the point is to get a realistic feel of what would be the best areas to tackle to achieve success. Remember, this is an overview, so try to not get carried away to the point of feeling lost and hopelessness. Okay? A fave acronym of mine is, keep it simple, sweetie – K.I.S.S. 2. Decide which you’d like to work on and improve the most, then consider why. Really feel and understand what is about achieving that goal that would make the difference to you and why. You could select an aspect of each area of your life to work on. Or, you could choose one area to focus on for each quarter or trimester of the following year. I am going to improve my health and be able to run/walk x miles. 3. Now make an actual plan. This consists of a realistic approach that takes on board you – yes, YOU! This means working to suit your life, schedule, etc. Tip: Prioritise the most important areas of your life and aim to focus on one at a time. New Year’s Resolutions Tips (No. 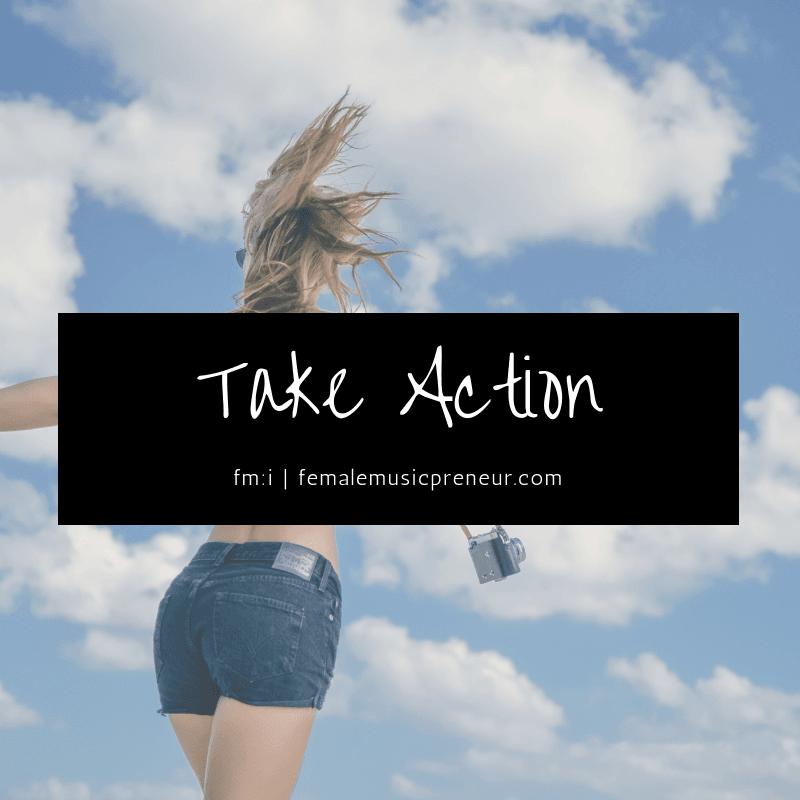 3) – Take action! This is the power #bossmove! What would you need to do to make your desires become a reality? Now you’ve decided on the goal you want, ’tis time to figure out what you would need to achieve to get there. Tip: Do this in steps! Rome wasn’t built in a day and there is no need to rush! Over complicating and underestimating what can be done at any given time causes many to fail. They may feel dejected and feel terrible and not realise that actually they took on too much. No more, ladyboss! ‘Tis time to take control! Create a plan. This may involve a loose outline of ways you can create your dream outcome. Choose 3 actions to get the ball rolling. What 3 actions could you take to get going? Perhaps you’d like to set up a marketing campaign to build your list, fan base, network, brand awareness, income, or other. What 3 actions would you need to carry out over the next week to get started? List the steps of the first action – that’s right just the first. Don’t worry about anything but what is immediately in front of you! 3. Get started on the first step. Do it until you have finished. Then start step 2, and so on. Tip: Identify a timeline and date to get cracking by. Notice, this a timeline and date to get started, not to complete the goal. Starting can be one of the biggest challenges. Don’t let procrastination win! Do you ‘do’New Year’s Resolutions? Feel free to share what your plans are in the comments. I’d love to read them. Yeeeeeeesss! Name it, claim it! Here’s to a boss 2019, lady boss! I look forward to hearing about your wins. 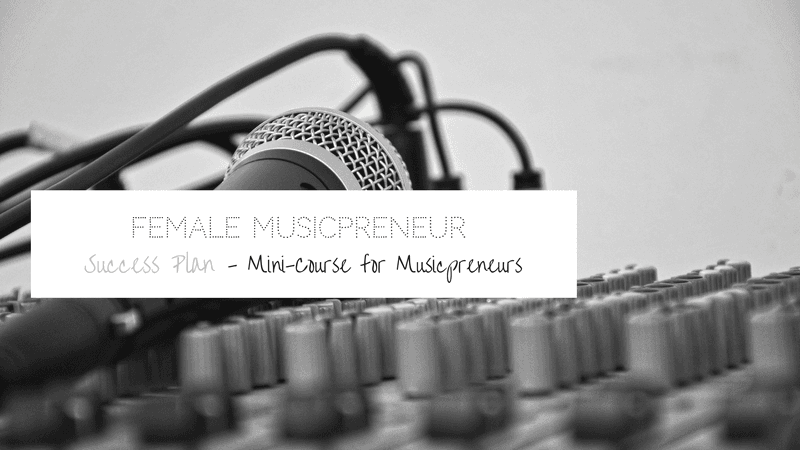 Our FREE Success Plan for Musicpreneurs Mini-Course provides success steps and practical exercises, and bonus goodies to help you achieve success. 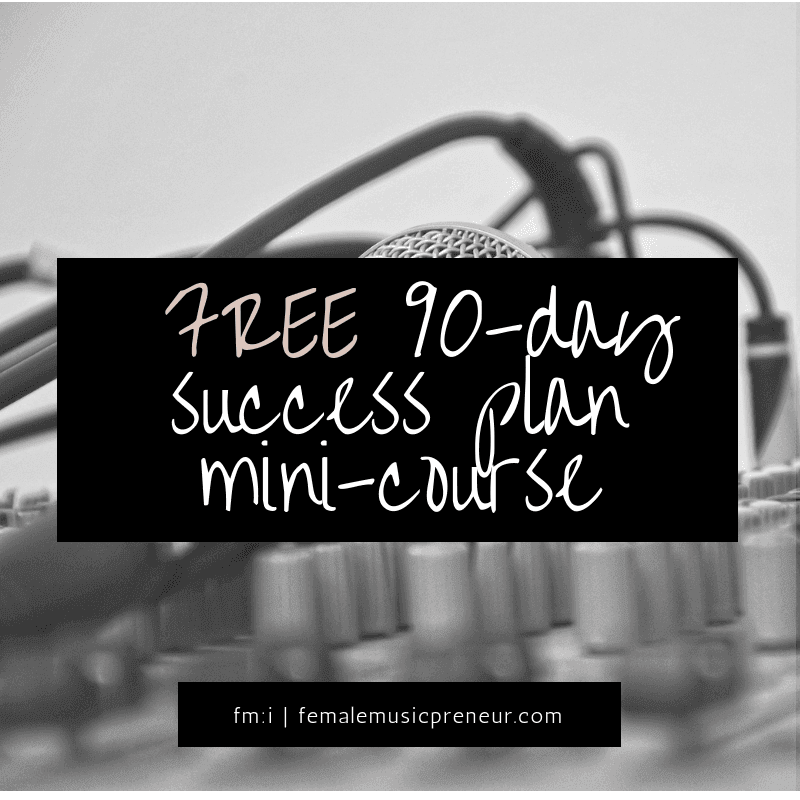 If you would like some help with attaining real tangible success and becoming a successful independent music artist, my free 90-day success plan for musicpreneur mini-course might be just what you need.